If there is one thing we have all learned from Weinergate it's the transparency of social media and the power of one tweet. Since only 13% of online adult Americans use the social networking platform (courtesy of Pew Internet Research) I thought I would share some Twitter Rules of Engagement before you too might add to the Twitter growing number of users. These rules were showcased Sunday on CNN. Get a grasp of the technology before you put yourself out there. It might sound fundamental but here is a perfect example. 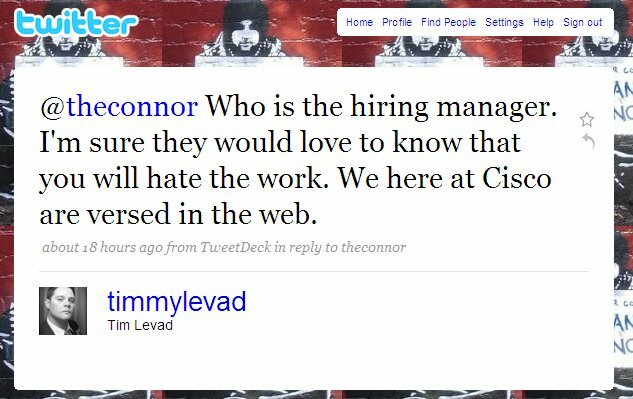 @theconnor "Cisco just offered me a job! Now I have to weigh the utility of a fatty paycheck against the daily commute to San Jose and hating the work." 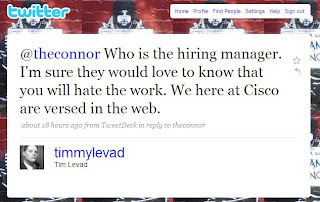 Cisco quickly replied: @timmylevad "Who is the hiring manager? I'm sure they would love to know that you will hate the work. We here at Cisco are versed in the Web." According to an interview she did not realize her tweets were not private and out to the world. A life lesson for sure. 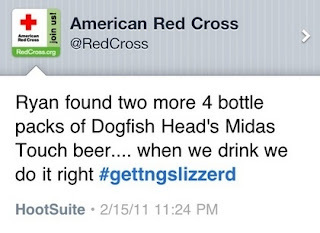 This example is a few years old but speaks to the lesson of one tweet digitally living forever. 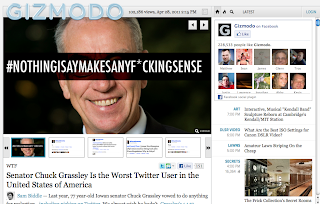 You don’t want to end up on Gizmodo entitled the worst Twitter user in the United States of America like Senator Chuck Grassley. Chuck tries to squeeze in novels in 140 characters. 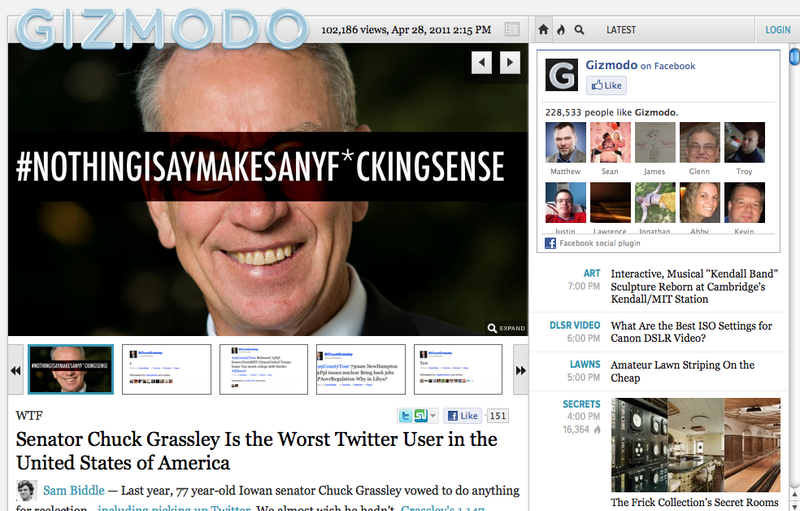 Creative but ineffective and incomprehensible. Though I have to hand it to anyone 77 years old trying to stay ahead of the curve. 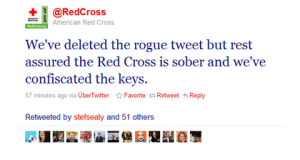 The Red Cross sent a reply within an hour - time is imperative in making a real-time social networking error. This is a good example of how to recover. 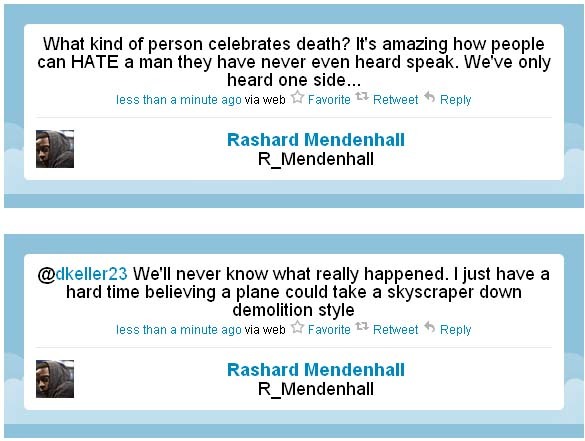 His opinion and tweets on bin Laden cost him his endorsement deal with Champion apparel and forced the president of the organization to respond on the Steelers website. A lot of people have an asterisk in their Twitter bios– I work for XYZ but the opinions expressed are my own - probably not a bad idea. 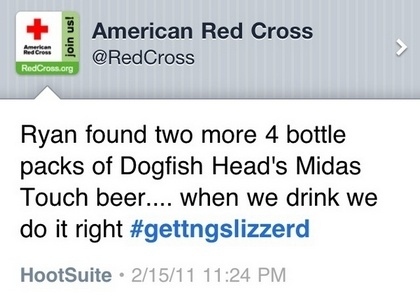 But in some cases a bad tweet can be a good tweet when it comes to PR. We see the best example of this in Charlie Sheen. In an whirlwind life spiral it took him 25 hours and 17 minutes, a Guinness Record for the shortest time to get to 1 million followers even with only a few tweets on #winning and #tigerblood. 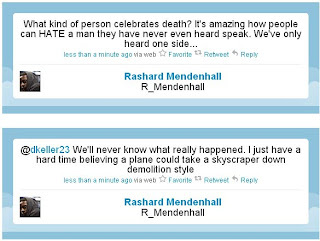 And its not just Twitter causing social networking errors. Recently, a girl in Hamburg Germany did not realize she didn't have her privacy settings enabled on her Facebook birthday invite and 1,500 people showed up. It took over 100 cops, many on horses, to try to control the party. Two fires were put out, 11 detained and many girls wearing flip flops cut their feet on beer bottles. Hey, at least she was brought a lot of cakes and gifts... that was kind. Geez, it was a luxury when I could invite 10 kids to my roller skating party when I was 16.